Looking for a powerful learning resource designed for Canadian students? We've got you covered. Targeted, adaptive and engaging content from Kindergarten to High School - designed to meet the requirements of the Provincial Curricula, with reporting and assessments to match. No-one does content that aligns with provincially created curricula like Mathletics. Are you looking for an exciting way to share the insect world with your students? We at ABC Bees want to see a future where everyone understands and appreciates the importance of bees. We know that establishing a complete knowledge base and creating engaging classroom activities can be a lot of work and we are eager to do our best to make it easier on teachers. Our Bee Curious Teacher's Materials will develop and support your own bee knowledge and provide inspiration to encourage more dynamic learning ideas for the classroom. ACCENT is a directory of recreational, cultural and educational activities and resources available in French for school communities in Alberta We look forward to joining you along with several French service providers in the FRANCO ZONE. Achieve Education is an education recruitment agency specialising in placing teachers from Canada for jobs across London and the rest of the UK. Our focus is to employ the best Early Years, Primary and Secondary teachers from Canada, offering a service which focuses on communication and consistency. As our mission statement suggests, we ensure our teachers a home-away-from-home by creating a recruitment journey that is personable, cohesive and forward thinking. We offer all of our overseas teachers a comprehensive support package, which includes: flight reimbursement, a one-to-one consultant relationship, visa support, relocation advice on accommodation, banking and healthcare. Bring your school groups to the University of Calgary! Take advantage of our 25 years of group booking experience and let UCalgary Active Living and Outdoor Centre craft a field trip to fit your needs. With first-class facilities, certified instructors and more than 30 different activities to choose from, we can get your kids moving in plenty of exciting ways. I'm a Calgary-based, international best-selling author, speaker and publisher. My books are for ages 9, and I regularly speak to schools for grades 4-11. Albert Health Services representatives with share information and resources to support teaching human sexuality and promoting sexual health education. AHS Nutrition Services provides evidence-based healthy eating and nutrition tools and resources to support your classroom and school environment. Registered Dietitians will be present to answer your questions and direct you to free resources available to you through the Healthy Eating Starts Here website. Alberta Champions has ideas for bringing history to life in the classroom. Learn more about our historic displays and our writing contests for students. Alberta Health Services representatives will share information and resources to support healthy school communities. Information for teachers about our school milk program (including a leadership module), nutrition education programs for elementary and junior high, foods modules for high school and other nutrition resources. Alberta Parks offers a variety of school programs that help Teachers meet objectives to get their students outside. Parks staff will be there to provide information about the Field Programs we have available to teachers, as well as Bringing Parks into the Classroom and Video Conferencing, which is experiencing a virtual tour of a protected landscape they might not be able to visit as a class. Alberta Parks has a wide variety of resources available to teachers on our website that help support a wide variety of lessons that are being conducted in the classroom. 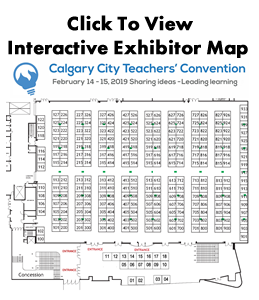 Alberta Parks Education Staff will be present at the booth to help teachers discover how they can use Provincial Parks as an authentic learning landscape. Do you or someone you know have a story to tell? Creative writing classes and so much more. Find out about our programs for youth and adults and everything AWCS has to offer. Professional development, learning for youth, shaping your story, field trips and more. GROUP RATES ( preferred pricing) for Educators! There are many options when it comes to choosing home & auto insurance. How much coverage do you need? What deductible should you choose? Do you need any additional endorsements? There's a lot to consider and it can be overwhelming. ALLSTATE will simplify things and steer you through your choices. We'll make sure you have the coverage that fits your needs, and at the price you deserve! As your life changes and your insurance needs grow, rest assured that we’ll be right there by your side. We’ll give you honest advice and a fair price to fit the different stages of your life. Ambrose University is an accredited post-secondary institution in Calgary, offering undergraduate degrees and extended learning opportunities. Handmade Scarf Rings, Custom Jewelry and Home Creations all made from the finest elements of nature - wood, horns, stones, Resin and sea shells. Swiss formulated, vegan certified and gluten free health and wellness and beauty products including anti-aging, mens care, baby care, personal care products, nutrition, hair care and cosmetics. ArtFelt Studio offers in-school field trips. Drop by our booth and try your hand at felting! Our booth is full of felting samples, knowledgeable staff and classroom ideas. Have you tried wet felting? Wool, soap, water and bubble wrap work almost magically together to make a piece of felt art. This tactile, hands-on process appeals to people of all ages and abilities. What's needle felting? Starting with colourful wool roving, students use a sharp felting needle to create a piece of art. ArtFelt Studio has curriculum-based projects for all grades. From poppies to Tunisian camels, prairie wildflowers to Alberta/Canada landscapes, Ukrainian folk animals to Llamas, Christmas nativity scenes to large School Legacy Pieces - our projects enhance your classroom studies. We are always open to your suggestions! Visit our booth to share your ideas! Calgary Public Teachers (Alberta Teachers’ Association Local 38) is a professional association representing the 8000 teachers employed by the Calgary Board of Education, making us one of the largest teacher locals in Canada. Our Executive Committee is comprised of 20 highly committed teachers, and our Council of School Representatives, comprised of more than 300 teachers, meets monthly during the school year. ATA Local 55 represents over 3,400 teachers and has been in operation since 1938. The legal responsibilities of the association are: To advance and promote the cause of education in the Province and to improve the teaching profession. We will provide teachers with information about B'tween Girls. B'tween Girls is an eight week program that builds essential relationship skills, confidence, and emotional regulation in girls Grades 4, 5, and 6, through hands on activities, easy tools and important discussion about Girl World. B'tween Girls is designed to support, educate, and inspire young girls so they have the strength and resiliency necessary to manage the challenging tween/teen years. There are so many options when it comes to choosing your insurance. We are knowledgeable in it all, and even better we are local! Home, auto, motorcycle, commercial and your recreational needs covered, without having to talk to someone in a call center out of the province. We've been a Calgary local Insurance Company for the last 15 years, but because we are technically savvy we service the entirety of Alberta. We are huge advocates for shopping local, spending local, and being local ourselves. Now it's time for us to get acquainted, and grow together. At BlueCircle we recognize the need to offer insurance benefits to teachers and want to help educate you because insurance can be overwhelming. Interactive display of sample grade level lessons and project builds aligned with curricular outcomes for Lego based STEAM field trips, workshops & residencies (ages 3-12) including: traditional brick, motorized technic/power functions, art mosaics, We-Do & Mindstorms EV3. Information on hosting school enrichment Lunch Clubs, ASP, Flex Fridays & Family Fun Night Fundraisers. Providing information on our Science Day programs as well as our School's Out Celebrations at the end of June. CAOS in the school! Dedicated to the arts of mask, puppetry and animated objects, this non-profit organization delivers exciting residencies that tackle curriculum goals through engaging artistic processes. At CAOS, we believe the artistic spirit lives within each one of us. Our process is inclusive, responsive, and led by professional artists that honour each child's creative spirit in an authentic creative experience. Residencies include mask making, animated filmmaking, puppetry and more. Animated films produced in CAOS's filmmaking residencies have won awards at film festivals around the world. "Face Off: Exploring Canadian Identity Through Mask" is a recent mask making residency that was exhibited at the Leighton Art Centre, the Festival of Animated Objects, and during Canada 150 Celebrations. Information about Calgary Bridge Fouandation for Youth, its programs and services. Also, educational resources for teachers will be displayed at our booth. We will also have souvenirs and a prize for teachers participating in the raffle. Come check out our Spring and Fall Field Trips at the Calgary Corn Maze & Fun Farm. Each year hundreds of students enjoy learning about plants, mining for gems and stones and playing at all of our activities at our fun farm. available to provide further information about our programming options, which are designed to incorporate ideas of responsible citizenship and leadership to current curriculum objectives. We look forward to chatting with everyone about the importance of humane education! Staff will be providing information about two partnership programs of the City of Calgary, Calgary Neighbourhoods and Calgary Police Service that provide youth prevention and intervention in the following areas: gang prevention (YARD Program) and prevention of radicalization (ReDirect Program). Staff will be available to help teachers understand the work we do in these two programs, how to make a referral and how to identify youth who may be a good fit for the programs. Respect for Life and Respect for You educational programs that are presented in the schools. The Fetal Development presentation is offered to students grades 6 to 12, utilizing power point presentation, life size models and a video. The You Matter presentation is offered to grades 5 to 12, utilizing power point, activities and music. The Calgary Regional Consortium provides professional learning opportunities to K-12 educators including teachers, administrators, superintendents, trustees, support staff and parents. Staff members will be onsite to discuss how we can meet your professional learning needs. scholarship and endowment programs that provide financial assistance to university students working toward a degree in Education. Our mission is to provide organized and funCo-Ed sports leagues and events to adult Calgarians. Whether players have no skill, or a lot of skill, as long as they want to join in the 'fun-first, winning-second' mentality, they will fit right in! With a large variety of leagues, tournaments and events throughout the year, the CSSC offers something for everyone. Program Coordinators will share information on the Youth Education and Youth Achievement programs offered by the Calgary Stampede. We are a year round camp and multi-purpose rental facility. You can book us for your next field trip, band camp, professional/leadership development seminar, retreat, kick-off, graduation, team practice, and more! We work with you to develop the best program and pricing options for you and your group. Check out our Day Camp, Overnight, and Family Camp programs for all ages online at www.campchestermere.com or follow us @CampChestermere to find out more about Camp Chestermere - A Place to Belong! Camp Evergreen is a year round, day or overnight camp which provides schools amazing Outdoor Education, Leadership and Community Development, and Band Camps. We custom build and facilitate programs for all of our schools and groups. Camp Impeesa, located in the southern mountains of the Castle range, has a unique program opportunity for schools to engage students in a mountain outdoor environment. As part of one of Canada's largest youth organizations this Scouts Canada high adventure center provides flexible and classroom specific curriculum based programs. We have year round opportunities for experiential outdoor learning, retreat style camp activities, leadership and group development and wilderness living skills. Teachers meet with our program staff to discuss their needs and the camp develops programs specifically for their students. and will allow for any questions for application/participation. We are celebrating our 25th year! Canada's Sports Hall of Fame is back at Teacher's Convention for another year inspiring students to be the best they can be at sport, school, and in life! We'll be there talking about our education program field trips as well as our virtual education programs. We'll have free swag and draws as well so make sure to drop by and learn more about Canada's greatest sports heroes! We offer Classroom and Online affordable Food Safety Training and Certification. Our training can be taught by any teachers, or administered entirely online with our online LMS. We are the Canadian International School of Guangzhou, China (CIS) proud to offer Pre-Kindergarten to Grade 12 programming supported by an internationally recognized Alberta curriculum, approved resources and certificated teachers. As an Alberta accredited school, we continuously achieve and maintain high standards within all aspects of a quality international school. We provide a safe and caring English immersion environment to families from over 17 different countries. available to provide candidates with the knowledge and skills to teach core Red Cross First Aid & CPR courses to colleagues, students and various other demographics. Unlocking Potential so all can learn! CanLearn is a leader in services for learning and attention difficulties and an innovator in literacy programs. CanLearn helps, youth and adults understand how they learn and strategies to be successful. CAWST Wavemakers provides a range of free resources for teaching environmental and international development education. Our resources are for Kindergarten to University. We can support teachers to implement environmental action projects through in-school visits and $500 action grants. We aim to create a Dynamic, collaborative and focused area within the classroom - Studies have determined the best design for a balanced learning space is to incorporate flow where the more dynamic students don't interfere with the learning experience of the focused learner who requires their own space and fewer distractions. Whether you are replacing a few chairs and desks or outfitting an entire school, how can you be sure to choose the right furniture? When answering this question, we at CDI Spaces recognize that furniture needs and preferences can vary significantly depending on the environment within the classroom. That's why we encourage you to begin your selection process by allowing us to help you in identifying the needs in the classroom. Several Addiction and Mental Health programs will be on site to offer free resources, curriculum, posters and information. Brochures on chiropractic services. We will also be selling our massage rollers and theraband products. This booth will provide information on nature based programs offered through the City of Calgary Parks, including curriculum-based programs, stewardshipinitiatives and sponsored programs. "Cobb's Adventure Park & Corn Maze is a family owned and operated Adventure Park in NE Calgary. We offer a variety of outdoor activities with the focus of getting the whole family outside and active. With unique attractions such as Archery Tag, Zorbz (Giant Hamster Balls), Pedal Karts, Bazooka Balls, and Bouncy World there is something for all ages at our park! Field Trips at Cobb's offer a variety of attractions and a choice between 5 different Educational Components to keep students active and learning all day!" Not just an ordinary colouring book! This is a cool little book for travelers and travel lovers alike that serves to both educate and inspire. In it, readers will find the inspiration and impetus to take note of their touring adventures that they might not otherwise have indulged. With Sights of Alberta, British Columbia, Yukon, NWT and Nunavut, Ontario, The Atlantic Provinces, and The Canadian Rockies readers get a unique combination of history lesson, geography lesson, travelogue and activity book. Whether you’ve visited the sites or not, you’ll feel like you did with unique and Colourful Travels. The author’s mission was to create more than just colouring books; she hopes to provide the encouragement to visit Canada and to enjoy our beautiful, bountiful, resourceful country. She also provides the opportunity for readers who cannot travel the country to have a “staycation” and learn more about Canada from the comfort of their own home. The places and events chosen were meant to be fun, and interesting for the whole family. The animals and their narratives are specific to each area of Canada, even if they are familiar to other parts of Canada. There are poems, stories and facts for everyone’s entertainment. Concrete Theatre is an award winning professional theatre company committed to creating, developing and producing artistically excellent and culturally diverse Theatre for Young Audiences that explores issues relevant to the lives of young people and their families. Our programming is designed for different age groups, grades K-6, 4-6, 7-9 & 10-12. We also provide Artist in School Residencies for K-6. Please visit us for information on our 2017/18 and 2018/19 touring seasons. Corabella wirework jewellery is handcrafted in Calgary Alberta by local artisan Tracey Morelli. She uses quality ingredients such as reclaimed solid copper and solid brass, vintage keys, silk ribbon and glass beads. Forging her wirework pieces using hand tools, she creating fun & whimsical shapes such as flowers, dragonflies, birds and more. Crayola Art and Stationery Products for the Classroom. We provide free educator resources that support arts infused curriculum. Come to our booth and try our products. everyones style from the very casual to the extraordinary! programs, workshops, field trips, performances. with you on your social justice education needs! Health and Wellness strategies designed to maximize our performance by identifying and managing stressors of 'day in and day' out teaching. In school and onsite presentations demonstrate strategies to optimize brain and nerve system functioning. outdoor activities. Our spring and fall seasons fill fast; so book soon! Editions de l'Envolee and Editions A Reproduire specialize in edition and the distribution of teaching materials. Our catalogue is composed mainly of complementary material developed by teachers or those with teaching skills. Our educational stores are filled with bright ideas and learning tools for teachers, childcare centres parents, and kids. awards, scholarships and bursaries to help Calgary's students achieve more. historic sites, all while developing the global perspective needed for success in today's interconnected world. "ELEV8 Lacrosse was developed to provide the highest level of instruction for the growing sports of field and box lacrosse. Instruction caters to the next generationof Canadian lacrosse players, providing the opportunity to learn and excel in both disciplines. Our hybrid combination of programming has proven to provide the next generation of lacrosse players with a solid foundation for success. We are a Calgary based coaching organization founded by Geoff Snider in 2007. Since its inception, ELEV8 has broadened its scope to include; grassroots implementation, the ELEV8 CLASSROOM Lacrosse Program, elite box lacrosse development, grassroots and elite field lacrosse development, coaching mentorship, as well as NCAA recruiting exposure and guidance for student-athletes and their families." STEM Education for children ages 4-14 years of age. Build on children's natural curiosity through hands on engineering activities. WE ARE THE ONLY COMPANY that gives you access to all 10,000 cities across Canada and USA with all our products ! After 50 years of fundraising we are the professionals that know how to help your school raise significant funds in only 10 DAYS. Our mission is to put good food, made with clean ingredients, on everyone's table--because we all deserve to eat better, live better, and be healthy. Know where your food comes from and whats in it. Cook with whole, natural ingredients. Limit processed food. Be sugar, fat, and salt conscious. Never compromise on taste. Our products are 100% gluten free and Epicure is a nut-free facility. We are sugar and sodium conscious. Many products are Kosher Check certified. Over 65% of our products are Non-GMO Project Verified and the list is still growing! Epicure globally sources only non-irradiated ingredients. You won't find things like high fructose corn syrup, preservatives, artificial colours, and gluten in any of our products. Our recipes utilize whole, real foods, not processed alternatives, and many products are low or no-sodium. We work one-on-one with teachers to create incredible educational tours that meet their specific needs and budget. All Explorica tours are fully inclusive and expertly designed to immerse participants in the local culture while introducing them to the people, places and experiences that make each destination unique. Explorica is committed to enriching students through educational travel, and that means helping teachers extend the opportunity to as many students as possible. In addition to offering the guaranteed best prices in educational travel, we also provide scholarships and a variety of resources to ensure that every student is able to join their classmates on the tour of a lifetime. We help more than 400,000 students and teachers experience exceptional educational travel each year. Beautifully hand crafted jewellery designs created exclusively by Fifth Avenue Collection using Swarovski crystal, natural gemstones and AAA quality cubic zirconia at affordable prices. First Serve Tennis provides artist in residency programs for schools. We specialize in K-6 schools but can accommodate Junior High and High Schools. First Serve Tennis provides all of the equipment necessary for students to learn the great sport of tennis in school during the student's phys ed class. Glass House Fine Art Collective will be providing information on their Educational services and packages for schools. There will be an informational video of the mobile glassblowing experience as well as sample products that Glass House makes. They are the only mobile glassblowing studio in Canada and can bring the experience directly to your school. They offer a variety of academic packages from hands on learning to educational entertainment. During their visit they will provide knowledge on the science and history of this art medium. Since they will be located on-site this will allow them to work with every student in the school. All glass items made during their stay will go to the school to use as fund raising items or display purposes. Glenbow Ranch Park Foundation provides both in school and at the (Provincial) Park programming geared to the Alberta social studies curriculum of grades 4-6. Discover Archeology and Discover Grasslands are it's main modules but the Public Programmer can also custom design interpretive sessions that inter-relate with the unique grasslands and riparian habitat at Glenbow Ranch. One half and full day programs are available. A complete information package is available at our booth. Available through the ORC at The Alberta Library, MUZZY BBC is a language learning course developed specifically for children by the British Broadcasting Corporation. MUZZY immerses children in the target language through a captivating 3-D animated video story that mimics the way we all learned our mother tongue. Games (many for non-readers), activities, sing-along songs, and a recording feature reinforce learning. Teachers do not need to be fluent in thetarget language to effectively teach their students. We will have educational materials for distribution on Air Quality, Food & Nutrition, Radon Gas and Hazards in our environment. exceptional value for a premium, quality product. The company sells products under five headings: Gourmet, Body Care, Home Care, Remedies and Traditional Favorites. Our team of counsellors provide empathic understanding, expertise and practical interventions to help you experience positive change in your self, your relationships and your life. Benefit from our commitment to getting you past the solutions to enhancing your quality of life. Jumpstreet provides custom language and educational class trips to destinations around the world. Our booth features brochures, resources and videos about our experience, destinations and programming - not to mention our existing relationship with Calgary schools. As the sole optical provider in Calgary to offer an appointment-only service, Just 4 Eyes is committed to giving you the one-on-one attention required to help pick the perfect eyewear. We fill a gap in the Calgary marketplace for high-quality, fashion-forward frames at competitive pricing. KidSport is a local non-profit organization that believes that all kids deserve the opportunity to participate in organized sports. Sadly 1 in 3 Canadian families cannot afford to get their kids off the sidelines and into the game. Stop by our booth to learn about KidSport Calgary's Sport Registration Fee Program and how we can get the kids in your classroom off the sidelines and into the game! Stop by to learn about KidSport's application process and how we can help the kids in your classroom!! Machinery and tools. Woodworking, metal working, automotive, tech, cnc, 3d printer. Team gear? Staff apparel? Equipment? Or the biggest job of all, Gym Strip? Kodiak Sports & Apparel will build your school an online custom store that offers options for bulk Gym Strip, which is delivered to your school and can be organized by classroom, grade, or for individual orders which can be shipped to the school or home. Add your staff, teams, and any other apparel as well and let us take care of the details so you can get back to the business of teaching! Laser Tag facility in NE Calgary. Offering education field trips, end-of-year outings and a free reading program. The Right to Read Program: screening tools, teacher training and interventions to support struggling readers. Programs for K-1 English, Grades 1-2 French, Grades 2-6 English. Developed by reading specialists and psychologists of the Learning Disabilities Association of Alberta. guide students to draw inspiration from the landscape. Our in-school Art 2 Go! programs bring our expertise into your classroom and give your students the opportunity to explore and create through an engaging art lesson. We are committed to selling great products and providing exceptional service to all of our customers. We work hard at keeping up with the latest in changing styles and keeping the shopping experience much like that of looking through an older sisters closet (without the risk of getting caught). We believe that a store truly for women is one that acts with integrity, keeps prices low and quality high, and takes time to help give back to the community of women. Let's Talk Science is a national charitable organization committed to inspiring and empowering Canadian youth to develop the skills they need to participate and thrive in an ever-changing world. To accomplish this, Let's Talk Science offers a comprehensive suite of science, technology, engineering and math (STEM) based programs to support youth, educators and volunteers across Canada. school essential! We even offer labels designed especially for school uniforms. Encourage labeling to eliminate your lost & found and raise funds. Our stress-free label partnership offers direct delivery to parents - no sorting, distributing or collecting funds. We do all the work! There are no mark-ups or fees, and we offer free shipping on all orders. offer students a hands-on science experience full of hands-on activities, spectacular demonstrations & inquiry-based discussions without leaving the school. With professional lesson plans, unique equipment and animated instructors (with background safety checks), Mad Science workshops offer preschool to sixth grade children truly engaging learning experiences that encourage the pursuit of STEM careers. Mad Science of Southern Alberta also offers extra-curricular science clubs that can run during the lunch break or after school. Our Clubs are hassle-free (we do all the work for you) and provide students interested in science, an opportunity to continue learning outside regular class time. We offer quality tours like no other. Our tours are crafted to maximize time and effeciency so there is more time enjoying and learning about the sites than sitting on a bus. -Educational group tours since 1991. Melaleuca provides a wide range of nutritional supplements, healthy snacks, sports nutrition,fitness and weight-loss products that can help teachers protect and improve their health.Other items on display include toxin-free personal care and home cleaning products and pure essential oils. Teachers will have the opportunity to inquire about the benefits of obtaining a Melaleuca membership. We work directly with schools to provide fully customized educational group tours. Themes include history & culture, language, music & drama, sports teams, humanitarian and sustainable projects. Over 40 years of experience providing educational tours for Alberta schools and across Canada. We are on the CBE Master Agreement. Our tours are YOUR tours and are always exclusive to your group. We also are a full service travel agency and provide unlimited travel opportunities for individuals and families. We also provide insurance coverage through Allianz. Mobile Escape exists to awaken wonder in your students! 1. We bring the escape to you eliminating the fees and hassle of going off-site. Students notice and appreciate each other's gifts and abilities as they work together to solve the problems and puzzles before them. 2. We link our escape rooms to Alberta Curriculum, both general and specific learning outcomes. Our rooms provide hands-on, inquiry-based learning opportunities where students of multiple learning styles thrive simultaneously. 3. We help students take learning into their own hands as they work together to create their own escape rooms. This process of classroom gamification results in 100% engagement and 100% success. Money Mentors is a Alberta based non-profit credit counselling and money coaching organization. We aim to educated all Albertan's on personal money management. The booth would be providing free financial literacy resources and sharing information about our FREE financial literacy presentations uniquely developed for every grade level. We’re proud to serve teachers throughout Alberta, from our offices in Calgary and Edmonton For over 30 years, Morgex has been providing home and auto insurance with an unwavering commitment to A customer service for our teachers. And while insurance and financial service have changed a lot; what hasn’t changed is our commitment to being here to help. Convention attendees can learn about opportunities to partner with MRU's Bachelor of Education - Elementary program through student practicum placements. They can also learn about new professional development opportunities in supporting English Language Learners, inclusive instructional design, individual assessment, differentiated instruction, teaching complex learners and understanding how mental health and trauma affects educational outcomes. We are excited to offer products designed to help increase the activity level of students while in the classroom - benefiting the students' health and ability to learn. The National Music Centre is happy to join the Calgary City Teacher's Convention to share information about field trips to our new home, Studio Bell. We will bring with us some musical instruments and registration information. We provide resources for teachers, youth and adults facing legal issues. Our resources are primarly for aboriginal youth and adults. Please see our website. Nelson is Canada's # 1 leading book publisher. We will be providing information on print products as well as digital material from grades K-12. We take pride in being a leading digital math platform that values interactive and integrative technologies. Our over 2500 activities are aligned to Alberta's curriculum and support 3rd to 9th Grade teachers. In addition to having rich design technologies in our math explorations, we also have detailed class reports that supports formative assessment pedagogy. Embedded in our digital resource is an award-winning Badge system, that provides clear learning paths and innovative ways to express students learning and goals. Also unique to our platform is our highly-popular "Missions", where students develop mathematical resilience in a gamefied environment that focuses on the history of math. We are serious about making math fun! curriculum. Using a combination of layered visual projections, story telling and puppetry, NIGHT WRITERS is sure to ignite and support each student's story writing. The story begins in the middle of the night at a local bookstore. A character named "Journal" reluctantly reveals his secret.... he is empty! Students will be mesmerized as the surrounding books jump into action, teaching descriptive words, sentence structure, and the elements of story writing. The NIGHT WRITERS booking package includes materials to support a school wide literacy project. Environmentally friendly cleaning and personal care products. Our flagship items include microfibre cloths that are designed to clean with just water. Information and promotional material relating to Canada's 2 official languages. awareness of privacy issues and rights among children and young people; and provide guidance and information to help them reduce privacy risks. At our booth you will find information and other resources--including our popular graphic novel Social Smarts: Privacy, the Internet and You-- that we have developed to help educators, parents, librarians, and other adults engage with kids about privacy. The Utilities Consumer Advocate provides information on how electricity and natural gas utilities work in Alberta, explains consumer choice and its role in the regulatory process in representing consumer interest. The UCA's website also provides dynamic online tools as resources for teachers as energy consumers as well as educators teaching science, math and consumerism. The ultimate virtual reality learning experience that improves student outcomes and increases student engagement through fearless learning. book. Orca has everything you need for High Interest Low Vocab titles, and themed differentiated book clubs. Oxford University Press Canada provides both digital and print K-12 educational resources. Pearson Canada is Canada's leading learning company. We provide innovative learning materials, technologies, assessments, and services to educators, professionals, and students in order to help people everywhere aim higher and fulfill their true potential. PLAY NOW Education is the exclusive provider of the award winning DANCEPL3Y program to Calgary schools! With over 25 years of experience in educational travel, Prometour's commitment to customer service and safety makes the entire booking & travel process an enjoyable experience from start to finish. Our services include cultural tours, exchange programs, language immersion and humanitarian experiences. All our trips are customized. The Mission of the Psychologists' Association of Alberta is to advance the science-based profession of psychology and to promote the well-being and potential of all Albertans. Quest Theatre's mandate to nurture young people through exceptional adventures in theatre places arts eduction at the core of who we are. With over 30 years of experience touring professional award winning productions, and facilitating student creates in Alberta schools we understand how theatre can be an effective strategy for realizing curriculum based learning outcomes while promoting creativity, critical thinking and confidence in your students. Stop by our booth to inquire about bringing a Quest residency or show to your school! Information about the Youth Office at the Calgary Diocese on regards to the Youth Rally, One Rock Festival, Diocesan Youth Retreat Team, etc. Repsol Sport Centre is a world class sport and fitness facility with offerings in both dryland and aquatic sports. The facility is home to Members and Sport Partner athletes where they can TRAIN for excellence, COMPETE with champions and PLAY hard all under one roof. Revera is a leading provider of senior's accommodation, care and services. Robots.Education helps educators provide world-class robotics, programming, and STEM education. Products include: Robotics, LittleBits, 3D Printers, Programming Software, Makerspace, more Services Include: Teacher Training, In-Class Programs, After-School Programs, Summer Camps Be sure to register for a FREE Interactive Robotics Presentations for your Students. Following our presentations, 90% of ALL students indicated that they would like to learn robotics (including programming). #1 skincare line in North America! 4 anti-aging lines made by the founders of proactive to address all your skincare concerns. Redefine, Reverse, Unblemished and Soothe your way to healthy young skin! Exclusive offer for all Teachers! Get 30% off your cell phone plan with Rogers. Eligible for all teachers and discount never expires. Signup bonus and other perks also apply. Call Maria Heather - (403) 680 7786 or email: mheather@imaginewireless.net for more details. Located in one of Canada's most beautiful National Historic Sites, Royal Roads University has a long history of excellence. This rich tradition has helped shape our unique educational model, with programs that provide life changing experiences that enable professional and personal transformation. the Museum's curriculum-fit school programs. The Society of Educational Resource Groups (SERG) is a consortium of Alberta organizations and agencies which provide school and community educational opportunities, through extension activities and visitations to member sites. SERG's purpose is to promote and enhance, through educational and interpretive programming, an awareness, understanding, appreciation and commitment to ournatural and cultural resources. related to drinking and driving. We also have a wide scope of resources related to speeding, distracted driving, occupant restraints and more recently, drug impaired driving. We also have event specific resources such as Candy Cane Check Stop cards, Valentines and Grad materials. As a registered non-profit since 1992, SADD Alberta supports SADD Chapters in schools throughout the Province. SAIT is built on a passion shared by our faculty, staff and partners to help students shape new worlds as entrepreneurs, leaders and community builders. Through our Career Exploration Centre, Dual Credit Programs, and Summer Camps we aim to promote skill development, and critical thinking. The goal is to provide youth the opportunity to explore SAIT's campus and see how their passions and interests connect to careers. Scholastic Education publishes top-quality English and French classroom resources (both print and digital) built on the latest research that reflect best teaching practices. Reading Club has Just-Right Books Kids Can't Resist! Every book in every Reading Club flyer is handpicked by experts who know what helps students grow as readers. Each book is chosen based on your students' grade level and interests, so it's easy to find the right titles for each child. And best of all, the flyers change every month to include materials that help support what you're teaching in the classroom! Schoolhouse Products is one of Canada's largest distributors of school and library furniture - with sales representation covering all of southern Alberta. 1. Your local representative (Jamie Dobbin) has over 30 years of experience in education. Combined with an acute understanding of the 21rst century needs of schools, Jamie's dedication to customer service is unparalleled in the school furniture business. 2. A large warehouse at our head office for staging and optimizing efficiencies to reduce costs for customers. 5. Installation and assembly capability. Educational science tools, toys, equipment and supplies. Hard-to-get hands-on materials for science activities. Magnets, magnifiers, microscopes and accessories, electrical project parts, chemistry glassware and equipment, pH and litmus papers, rocks and minerals, prisms, lenses, thermometers, pulleys, spring scales, owl pellets, tweezers, dissection tools, petri dishes and nutrient agar, science activity books/lesson plans, solar cells, Glo-Germ powder, flying toys, science novelties, etc. Scientists in School is a non profit organization that delivers half day curriculum based hands-on science presentations in kindergarten - grade 7 classrooms in Calgary. We provide play opportunities for children and young people. We support, nurture, model and develop play in schools during recess/lunch and other settings. We offer an alternative play solution to fixed play equipment. We make waste things play things. We can provide training to existing lunch time staff, to teachers and principals and can provide a playpod if space allows. Sporting Goods, Nike Team Gear Uniforms, Riddell Football Skyline Athletics Inc., is an institutional wholesaler of athletic and team products. For over 50 years, Skyline Athletics has supplied Universities, Colleges, Schools and teams throughout Western Canada with their athletic, gymnasium and team requirements. At Sockology, we want to build a strong bond and a community of friends that are passionate about life and the positive impact we can all achieve when working together. Our mission is to educate more people about the value of compression for leg health. We believe in providing fashionable compression socks without compromising function. You deserve a Hug ... Sockology, Hugs For Your Legs(TM). Solarbotics is a Calgary based Electronics Company. We carry individual components such as motors/wheels, motor drivers, LEDs, LED strings, Arduino, raspberry Pi, filament. As well as many electronics based products including an Arduino based Curriculum. We are a manufacturer as well as a reseller of SparkFun, Adafruit, Parallax, Hakko, ESun, BPS, Phidgets and many more. SoundKreations offers in-school dance and poetry programs. With SOUTHLAND Transportation, you'll make memories they won't forget! We offer field trip transportation to some of Alberta's most interesting and enriching destinations. We also provide transportation for sporting events, band concerts, and competitions. Our transportation services will exceed your expectations with our outstanding customer service, commitment to safety, and reputation for reliability. Our booth has it all: knowledgeable hosts, discount vouchers, brochures, swag, and a prize draw! classrooms for all ability levels. We will also be promoting our workshops for students, teachers, and parents that will enhance their learning experience at school or at home. Sportfactor, an approved vendor for the CBE and CCSD, supplies sporting goods to schools, associations and municipal facilities throughout Western Canada. Since 1991, we've built our reputation on outstanding customer service, quality products and prompt same day shipping (with next day delivery into Calgary). We stock and ship products from Wilson, Spalding, Mikasa, Tachikara,Yonex, Dom, Gared, Forum and many others. At Suetables, we create one of a kind personalized sterling silver and 14k gold dipped jewellery right at the market. Each pendant, ring, charm is hand stamped one letter at a time. Hand stamping is an art. The look of each piece will vary slightly and stamping may be uneven. This is what makes each Suetables piece special, unique and full of character. So let us help you create a special piece for you or for a gift by hand stamping a name, initials, dates or inspirational words. Teacher's Pet Educational Services provides exciting, hands-on, interactive curriculum based in-school programs to Kindergarten - Grade 6 students. All of our programs are 100% aligned to the provincial curriculum. We offer programs in Social Studies, Science, Art, Health and Fitness. TELUS Spark - purveyors of excellent school field trips and professional development opportunities since 2011. Display and promote educational technology products and resources for Math/Science/STEM educators. No sales. We will have Information regarding our in-house and outreach field trips connecting to the grade 6 curriculum and will be building different flying devices with teachers throughout convention. The Quickdraw Animation Society's Portable AnimationWorkshops bring 10 animation workstations and two instructors into your classroom, for a fast-paced, fun and hands-on artistic experience. Animate animal life cycles, mathematical patterns, poetry or just explore visual storytelling in a fun and interactive way. Grades 3-12. Organizational products for your home, family, and for you. We carry a variety of items including bags, totes, purses, wallets, and organizational items. Handmade products from wood - ice cream scoops, pizza cutters, coffee grinders, pepper mills, pens, lamps, clocks, wine accessories, maps, kitchen accessories. Build a performance on any educational theme with up to 600 actors! We supply everything you need. In each Trickster Residency we create an original 90 minute theatre performance for up to 600 actors in only one week. The show is based on a theme chosen by the school and developed with the assistance of Trickster. Recent themes have included: Kids as Global Citizens, The History of the Cowboy, Bullying, Literary Genres, The Wild World of Science, and The Leader in Me, to name a few. We provide the lighting, sound, curtains, costumes, and props - not to mention the directors, producers, and artists to lead it all. Residencies typically include two performances - one during school hours and one on Thursday or Friday evening. With over 700 residencies in more than 30 years, you can rely on us to create a show that will astound you. never try to sell you something that you don't need. Instead we listen and take the time to understand your needs so we can help you find the perfect home and auto insurance package to protectwhat is most important to you. Upon graduation, and without fee, all graduates of the U of A automatically become lifetime members of the Alumni Association. The Calgary Alumni Association is an active chapter that organizes 12 events a year in the city for all alumni from every faculty. These range from lecture series hosting U of A professors to fun family events. We will be providing pamphlets about graduate programming at the University of Alberta's Faculty of Education. We will be offering information on programming, application processes, and upcoming events. The booth will be primarily focused on engaging University of Calgary Alumni and informing them about programs and services that are available to them as graduates of the university. knowledgeable, thoughtful, and deeply caring about the responsibilities associated with education. The Werklund School of Education hosts the largest graduate studies program at the University of Calgary with over 1300 students enrolled in our Graduate Programs in Education. Providing a variety of on-campus, blended learning and fully online graduate programs to meet the learning needs and interests of all students, Werklund's graduate programs are diverse; from learning sciences and leadership to counselling psychology and adult education, from curriculum and learning to languages and literacy and school and applied child psychology; students can take advantage of expertise in research and instruction in all these specialization areas. Award-winning Usborne Books for children of all ages - and adults too. Books for sale, plus information on Usborne Book Fairs and services to schools. non-profit organization that focuses on educating Canadians about our military heritage and the qualities of Canadian citizenship. We aim to be dynamic and responsive while sharing our vision of education as engaging, meaningful, and transformative. Calgary Departments: Water Services, Waste & Recycling Services, Environment & Safety Management & Parks). We will also be happy to address any questions about your personal waste diversion practices, and trouble shoot any questions about your blue, black and green carts, as well as household hazardous waste, and the big picture of waste reduction and waste prevention in general! as well as products for administrative areas and other general staff gathering spaces. The dictionary defines perseverance as steadfastness in doing something despite difficulty or delay in achieving success. Our team at WinSport helps people pick themselves up after they fall or helps build their confidence after they finish in fourth place - all so they learn to persevere. This allows them to gain mastery, improve confidence and establish enduring friendships through sport. It also allows them to simply enjoy the benefits of the changing seasons and amazing geography that surrounds us. Wintergreen Learning Materials For 40 years WINTERGREEN has been providing Canadian educators with the best selection of exclusive, high-quality furniture, curriculum materials, and teaching and classroom supplies; including products for physical education, music, and arts and crafts. We back all of our materials with a guarantee, unique to WINTERGREEN alone: "If you are not completely satisfied with ANY ITEM you purchase, at ANY TIME, for ANY REASON simply let us know and we will make it right. We guarantee to make you happy with everything your purchase from WINTERGREEN." You can trust WINTERGREEN to provide beyond belief after-sale service, a friendly and knowledgeable staff, and a unique selection of ever changing learning materials. Wordfest sparks lively, illuminating and meaningful conversations between Calgary's readers and the world's most engaging writers. Our year-round literary events culminate in a 6-day festival every October, and are programmed to2 inspire Calgarians to live more creative and empathetic lives. Wordfest's trademark events include readings, workshops, panel discussions and in-school presentations from authors writing in every genre and for all ages. forestry educators travel to communities throughout Alberta to deliver presentations and attend career fairs, teacher conferences, and community events. Program resources include a job board, training information, scholarships, curriculum-supporting lesson plans, and educational videos. World's Finest Chocolate Canada is the leader in chocolate fundraising programs. We have been servicing Canadian schools, music programs, athletic groups and social clubs since 1958. We produce our chocolate from scratch, in our Peanut Free Facility, from the cocoa bean and the finest ingredients. All our chocolates are either Peanut and Nut Free or Peanut Free. Please contact us to see how we can help your school raise those much needed funds. Phone 1.800.461.1957. Email fundraising@worldsfinest.ca. Ye Olde Soap Shoppe is a home based, handmade, artisan soap company specializing in luxurious soaps and other bath products. Each of our decadent products is hand crafted with the utmost attention to detail. Our unique approach to soap making involves the addition of silk to produce a truly rich experience. Treat yourself at the end of a stressful day; you deserve to be pampered. For your personal indulgence we offer: body soaps, bath bombs, solid bubble bath bars, lip balms, bath teas, Bath melts, shampoo and conditioner bars, shaving bars, artisan shaving paraphernalia. The Young Alberta Book Society offers financial and logistical support for bringing authors, illustrators and storytellers into your classrooms. Visit our booth for more information and to meet and buy books by some of our touring literary artists. An Artist in Residence program is a wonderful opportunity to bring in an education program that values the belief that every child can and should be taught how to draw. Participation in Young Rembrandts empowers children with skills, confidence and knowledge. Young Rembrandts provides children with a comprehensive art literacy that serves them well not only just at the drawing table but in school and on into adulthood. Young Rembrandts dispels the myth that art is a talent a child has or doesn't have. Art is a skill that can and should be learned by all children. ZACS provides service in a diverse range of audio and video projects including classroom soundfield, interactive whiteboard technology, technology project management, and networking design and installation.